After a long journey around the world, the Bowers Museum’s special exhibition featuring selections from our own Native American collection will be on view in Santa Ana! First Americans includes artwork representative of the native people from the Arctic North, the Northwest Coast, California, the Southwest and the Great Plains. The exhibition first traveled to Bogotá, Colombia’s Museo del Oro in 2011 and then was shown in three museums in China from 2014 to 2015. Several of our collection’s most important works will be on display in the exhibition, including what may be the earliest example of a transitional Navajo First Phase Chief 's blanket, an early Hopi katsina doll, and from Baja, California, a rare Seri feathered kilt. January 31, 2017. Board members of the Antique Tribal Art Dealers Association (ATADA) have helped US collectors and art dealers to make voluntary returns of important sacred and ceremonial objects to Southwest tribes through a program that began in December 2016. The initiative, which is ongoing, is part of a concerted effort to meet tribal goals by returning objects that are important to community spiritual health. Dealers and collectors now have a direct means of returning objects collected many decades before. ATADA is a professional group that has grown over the years to include collectors and museums. The group sees the returns as a positive step in building badly-needed bridges between the collecting and tribal communities. Another immediate goal was to engage tribal participation in ATADA educational initiatives and create a dialog between art dealers, collectors, and tribal communities. A seminar involving all parties is now planned for May 2017 in Santa Fe. 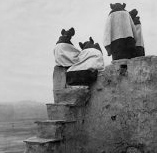 By making returns under tribal direction and with respect for ritual processes, ATADA also hoped to show that voluntary returns would be both more productive and more apt to keep tribal religious concerns private, more so than any official government processes. The STOP Act legislation introduced last year called for seizure at US borders and would have required government agencies to potentially hold sacred objects in possession, physically treating them like any other judicial evidence. 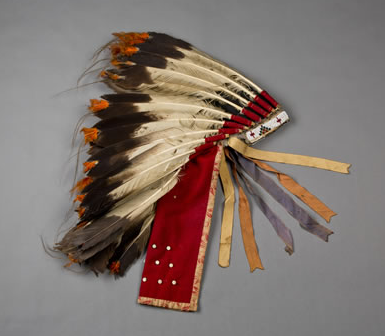 Throughout the voluntary repatriation process facilitated by ATADA, great care was taken to keep physical contact and exposure of the objects limited such that they were not viewed in public, they were minimally touched, and were stored in a manner dictated by the tribes themselves—for example, the tribes object to using plastic to wrap objects (tribes often consider such items as living entities, which need to breathe). ATADA has stated that it would strongly support legislation that would provide direct funding for tribal cultural education, expanding tribal cultural heritage offices and building tribal institutions. “There are lots of collectors who would like to help build tribal institutions through donation of artworks, not just sacred items, which have another place in society. Collectors have had to donate to places like the Museum of Northern Arizona [which acts as steward for many artifacts for Southwestern tribes] because there aren’t tribal museums to give objects to. There needs to be a structure in the future for people to deduct donations, too,” said Gallegos. ATADA stressed that government has a part to play in getting foreign governments and museums to return items that were exported with permits issued long ago under the Antiquities Act. Measures are needed for repatriating human remains (referred to by the tribes as ancestors), including veterans’ remains buried overseas. However, ATADA made clear that it would not support the STOP Act as it was originally written, nor any other legislation that sought to expand NAGPRA into the private sphere. It believes this would be catastrophic for thousands of US businesses, collectors, and museums that depend on them—and damage contemporary Native artists and their communities as well. ATADA noted that the 2016 STOP Act would have seriously impacted Southwest communities that are dependent on tourism. In New Mexico, for example, cultural industries account for $1.37 billion in wages and salaries, as much as the state’s mining industry. Employment in cultural tourism, art and cultural education equaled nearly one in ten jobs (9.8%) in the state. Tribal communities have been particularly concerned that misunderstanding of federal laws would taint the entire contemporary market, as Alaska native carvers of marine mammal ivory have suffered a 40% drop in revenue as a result of federal and state laws affecting elephant ivory. 3. SAN ANTONIO, TX.- On February 24, 2017, the San Antonio Museum of Art opened an exhibition of contemporary Aboriginal art, titled Of Country and Culture: The Lam Collection of Contemporary Australian Aboriginal Art. The exhibition is drawn from a collection gifted to the Museum earlier this year by long-time supporters May and Victor Lam. With approximately 75 works on view, the exhibition explores the contemporary application of a range of Aboriginal artistic traditions—from sand paintings, to body painting, to grave poles—to demonstrate similar cultural ties to land, heritage and visual communication. The collection includes a significant number of works by women artists, representing a recent change from their historical exclusion from the contemporary painting movement in Australia. The Lams’ enthusiasm for contemporary Aboriginal art began when they visited the traveling exhibition Spirit Country at the Museum in 2000. These works inspired May Lam, a founding Museum board member, and her daughter Dorothy to travel to Australia to visit Aboriginal communities across the continent. On their trip, they amassed an outstanding collection representative of contemporary indigenous art making throughout Australia. The works range from the mid-1990s through 2007. Aboriginal peoples' presence in Australia dates back at least 50,000 years, making them one of the earliest civilizations. 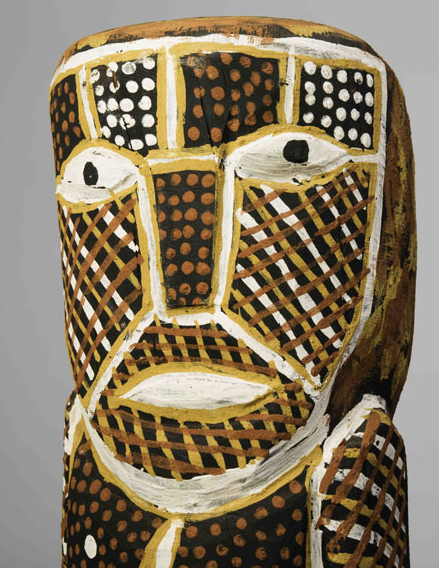 Art has always played an integral role in Aboriginal society and is intimately linked to daily life. The oldest surviving examples of Aboriginal art are cave paintings and rock engravings that are 40,000 years old, predating the cave paintings at Lascaux (present-day France) and Altamira (present-day Spain). Both subject matter and iconography from ancient precedents inform the practices of contemporary Aboriginal artists, who are thus working in the oldest continuous cultural tradition. Since 1788, when Europeans colonized Australia, Aboriginal Australians have suffered devastating displacement, dispossession, and marginalization. A staggeringly diverse Aboriginal population of 500,000 people—whose groups spoke over 600 unique languages and dialects at the time of colonization—was quickly reduced through violent conflicts, environmental imbalances and diseases, and discrimination. Despite this tumultuous history, contemporary Aboriginal art has flourished in recent decades. In combining designs and subjects depicted by their ancestors with present-day materials, contemporary Aboriginal artists reclaim their rights to the land and preserve their culture for future generations.